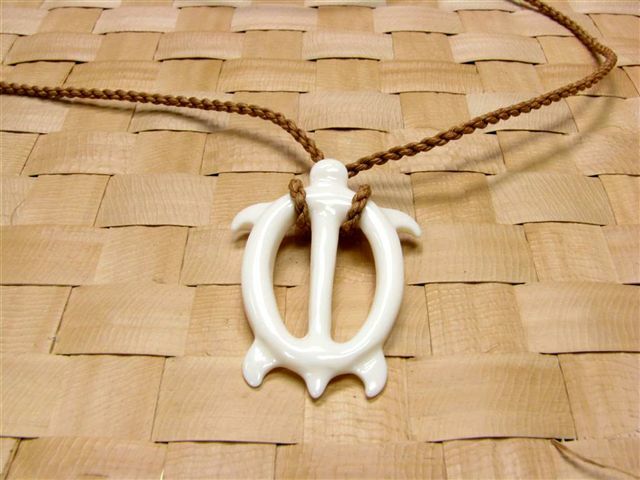 The honu (turtle in Hawaiian) ornament is made from buffalo bone and braided string which is adjustable. Very cute necklace. I liked the ease of making it small for a choker or leaving it long for a necklace.